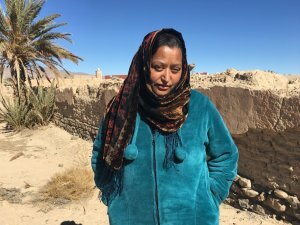 The Talsint Handicraft Association was started in May of 2016 in the small rural town of Talsint, Morocco. 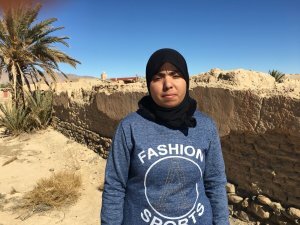 Nestled where the Saharan foothills meet the eastern slopes of the High Atlas Mountains, Talsint, Morocco, is a place with a rich ... show more The Talsint Handicraft Association was started in May of 2016 in the small rural town of Talsint, Morocco. Nestled where the Saharan foothills meet the eastern slopes of the High Atlas Mountains, Talsint, Morocco, is a place with a rich cultural history around crafts and textiles. It is a small town that serves as a hub for forty seven surrounding villages. 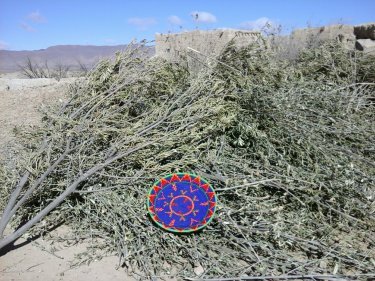 The idea for the association took root at the local women’s center when a Peace Corps Volunteer serving in the community initiated a meeting around local craft, the growing demand for Moroccan goods and the possibility of a money-making venture. 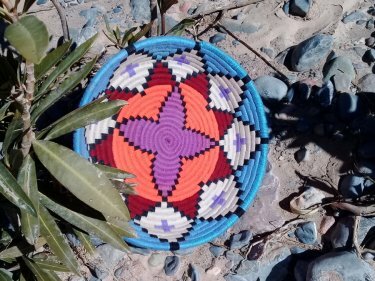 Thirteen women expressed interest and the group started to create a traditional Moroccan basket known as a “tbaq.” The basket is handmade using a local dried grass that is wound with colorful wool thread into one-of-a-kind designs. The association will also be incorporating traditional rugs from the region. 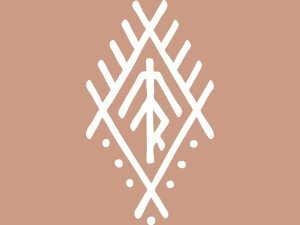 The Talsint Handicraft Association has grown into a vibrant entity, empowering female artisans, preserving their cultural heritage through craft and connecting them to a global market. 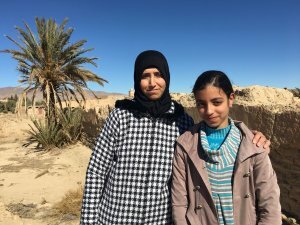 Born in Talsint in 1979, Fatima did not finish her studies due to the school being far from her home. 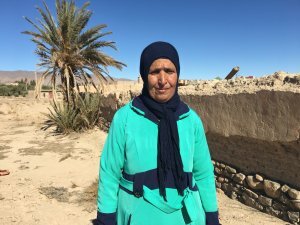 She has since attended literacy classes as an adult and ... show more Born in Talsint in 1979, Fatima did not finish her studies due to the school being far from her home. She has since attended literacy classes as an adult and done well. Fatima is divorced and has one daughter, Fadwa. Fatima learned the art of making crafts including the tbaq, weaving and sewing from her mother. In addition to Fatima’s work with the handicraft association, she has a small sewing business and helps with her family’s neighborhood store. With money from her basket sales she has been able to buy a sewing machine and materials to help her sewing business. 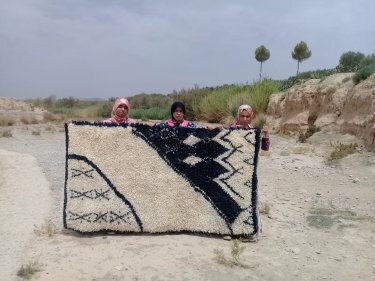 Fatima hopes that the handicraft association will improve their production and professional capacities through their work with Anou, helping them to secure better income. Born in Talsint in 1974 Zahra is married and has two daughters. Zahra completed her studies through the fifth grade. She learned how to make baskets from her older sister ... show more Born in Talsint in 1974 Zahra is married and has two daughters. Zahra completed her studies through the fifth grade. She learned how to make baskets from her older sister and has a little experience with weaving rugs. Zahra does sewing work on the side and studies the Koran in her spare time. This is Zahra’s first experience being a member of an association. Zahra hopes that the teaching and education around handicraft will continue because it is a source of strength for many families in Talsint. Born in 1997, Fouzia is one of the youngest members of the Talsint Handicraft Association. Fouzia studied until fifth grade when her parents pulled her out of school to help ... show more Born in 1997, Fouzia is one of the youngest members of the Talsint Handicraft Association. 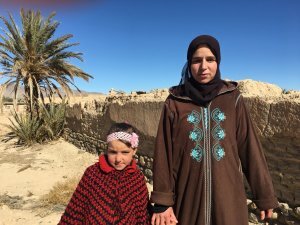 Fouzia studied until fifth grade when her parents pulled her out of school to help at home. She learned the craft of basket making and weaving at home from her mother. This is Fouzia’s first time being part of an association, with the money from her basket sales she has purchased a tablet and new clothes. Fouzia hopes to further develop her creative capabilities as a way to generate a secure income and to help continue the tradition of craft in her region. A dream of Fouzia’s is to someday finish her studies. Originally from Ait Seba Kdima, a small village near Talsint, Zohr relocated to Talsint with her husband. Zohr has four children, two daughters and two sons. Zohr did not attend ... show more Originally from Ait Seba Kdima, a small village near Talsint, Zohr relocated to Talsint with her husband. Zohr has four children, two daughters and two sons. Zohr did not attend school but did learn to make baskets and weave rugs from her mother and sister while growing up. She uses the profits from her basket sales to buy things for her house and to help her children. Born in 1989 in Beni Tadjite. Maimouna relocated to Talsint when she married her husband. Maimouna studied until the sixth grade and then married young. Maimouna has one daughter. She ... show more Born in 1989 in Beni Tadjite. Maimouna relocated to Talsint when she married her husband. Maimouna studied until the sixth grade and then married young. Maimouna has one daughter. She learned to make baskets and to weave at home when she was young. Maimouna would some day like to finish her studies and hopes that her daughter will do so and not marry young. With the profits from her basket sales Maimouna purchases items for her daughter and things for the home. She likes that her work not only preserves the artisan traditions of her region and culture but that it enables her to improve her life. Born in 1991 in Jerada near the city of Oujda. Iman and her family returned to Talsint, where her family was originally from, when she was a child. Iman studied ... show more Born in 1991 in Jerada near the city of Oujda. Iman and her family returned to Talsint, where her family was originally from, when she was a child. 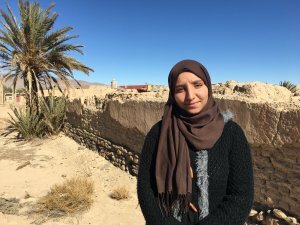 Iman studied until sixth grade when she no longer wanted to attend school. Iman is currently the Treasurer of the Talsint Handicraft Association. Iman learned basket making at home and currently has no other work. She has used the profits from her basket sales to travel and hopes to someday complete her studies. 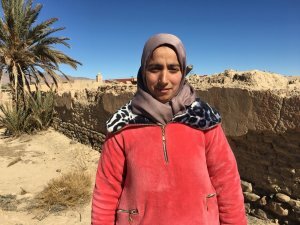 Born in 1985 in Talsint, Hafaida studied until the sixth grade when she wanted to leave school. Hafaida is married with one daughter. She learned how to make baskets and ... show more Born in 1985 in Talsint, Hafaida studied until the sixth grade when she wanted to leave school. Hafaida is married with one daughter. She learned how to make baskets and weave at home. Hafaida enjoys being part of the association because she has no other work. 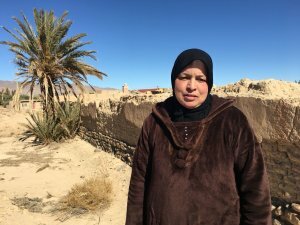 Born in 1978 in Talsint, Fadila never attended school. Fadila learned how to make baskets through her time working with the association and is currently learning how to make rugs. ... show more Born in 1978 in Talsint, Fadila never attended school. 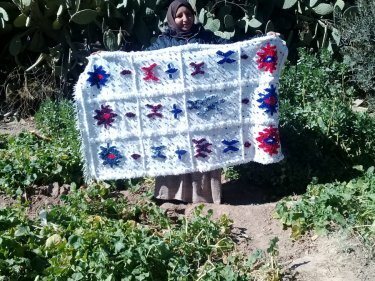 Fadila learned how to make baskets through her time working with the association and is currently learning how to make rugs. Additionally, Fadila works at the local women’s center and makes sweaters at home on a sweater-making machine. With the earnings from her basket sales she buys more material for her various crafting projects. Born in 1984 in Talsint, Fatima completed most of her high school education. She is married and has a daughter and son. Growing up Fatima worked with her mother on ... show more Born in 1984 in Talsint, Fatima completed most of her high school education. She is married and has a daughter and son. Growing up Fatima worked with her mother on rugs but she learned how to make baskets through her time working with the association. Her craftsmanship and design have steadily improved over time and she is one of the association’s highest sellers. Fatima attends the local women’s center where she has learned how to sew and crochet. With her basket earnings she aspires to build a better life for her children. Born in 1977 in the village of Mazar outside of Talsint. Maimouna is divorced and has one teenage daughter, Fatima. 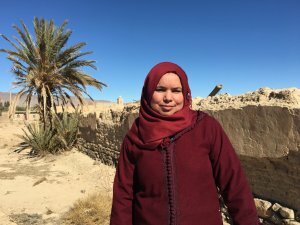 Maimouna started attending the local women’s center as a child ... show more Born in 1977 in the village of Mazar outside of Talsint. Maimouna is divorced and has one teenage daughter, Fatima. 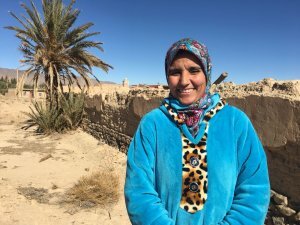 Maimouna started attending the local women’s center as a child with her own mother and in many ways the women’s center became her school, the place where she learned the art of handicrafts. 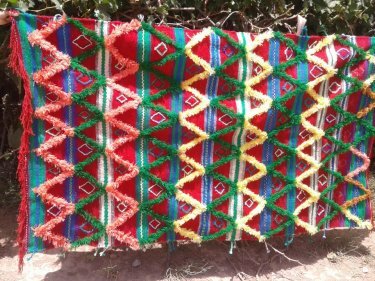 Today Maimouna is the resident expert in her community, sharing her knowledge of how to crochet, knit, sew, embroider, make baskets, rugs and much more. As the current president of the Talsint Handicraft Association, Maimouna has made incredible strides both personally and professionally. Taking on this leadership role has challenged Maimouna to become a strong communicator, a budding business woman and a true advocate for female artisans in Talsint. Maimouna has used the profits from her basket sales to purchase land and begin building a house of her own. Maimouna’s hope is to continue to build a successful cooperative and create more good work for the women of Talsint. 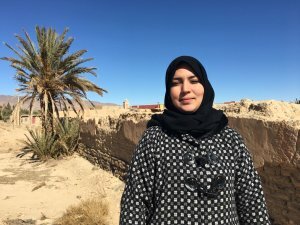 Born in 1989 in Beni Tadjite, Radia is a high school graduate. She moved to Talsint when she married her husband, they have two children. Radia has learned how to ... show more Born in 1989 in Beni Tadjite, Radia is a high school graduate. She moved to Talsint when she married her husband, they have two children. Radia has learned how to make baskets and weave through the association. She does not have any other work but does sew clothing for her children. 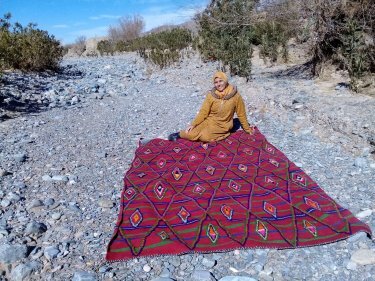 Radia feels that her work as an artisan and the opportunity to work with Anou is big and important because her grandmother was a weaver and made beautiful rugs but sold them for nothing. She now has a chance to change the history for artisans in her family.